Large populations of grassland birds have been nesting at East Mound. This spring, staff and interns will continue studying the grasslands at Freshkills Park. 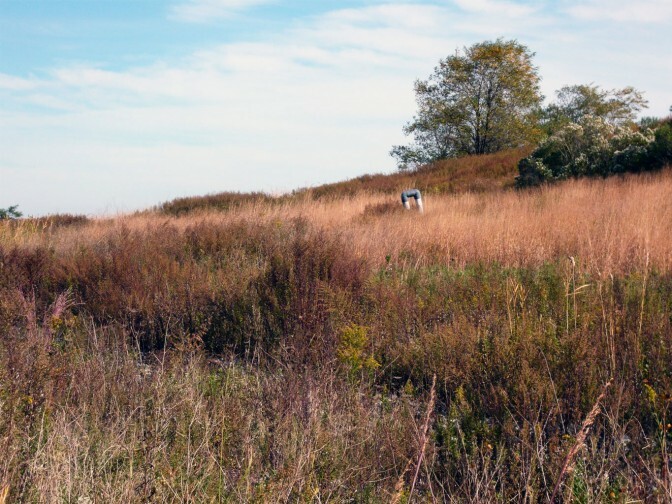 The research project is working to characterize the structure and diversity of the grasslands on two of the capped landfill mounds. Large populations of grassland birds have been nesting at East Mound, but not North Mound. Knowing the differences between the two areas will help inform management strategies that enhance the characteristics that birds seem to prefer. We use quadrats to demarcate areas that will be observed in order to collect information about the grasses. These square frames are placed in different locations, with ten on each of the two mounds. We set up the quadrats at the beginning of May, when the grasses begin to grow, and monitor them until September, when the fruits of the grasses are ripened. We see lots of little blue stem, big blue stem, switchgrass, and Indian grass on both of the mounds. Switchgrass dominates North Mound, and plant species are less evenly distributed there. On East Mound, the grasses are more clumped together with open area between them. East Mound also has a higher overall diversity of flowering plants, including oxeye daisies, butterfly weed, and bird’s-eye speedwell. 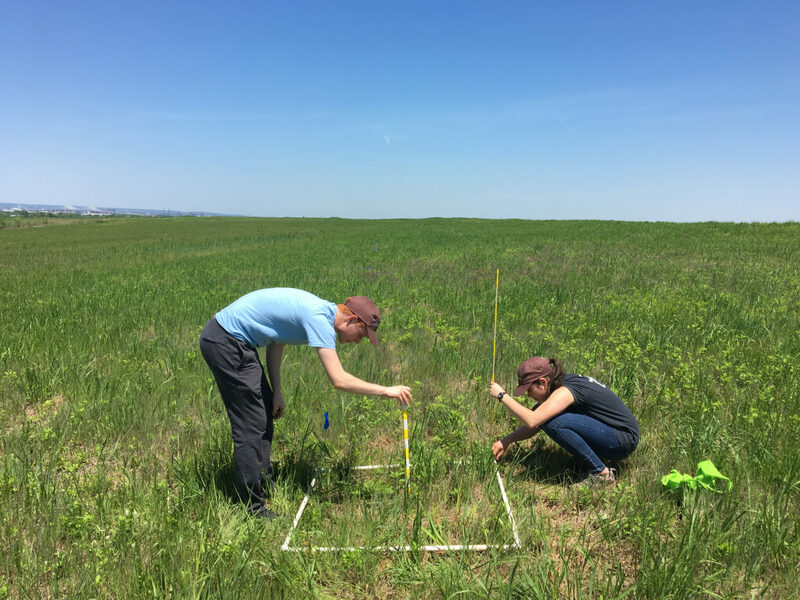 Last year, we sampled the quadrats every other week, collecting data on height, density, the amount of dead and live plants, and the number of plant species and their abundance. We also used the Weins pole and Robel pole to help us characterize the vertical structure of the grasses. These sampling tools can help determine how hidden a bird’s nest may be from possible predators. Interns use a quadrat and sampling tools to collect information about the grasses at North Mound. This year, we will explore the possible causes and effects of these differences. During the growing season, we will monitor the soil moisture, since increased soil could contribute to plant growth and litter decomposition. We will also monitor the “phenology” or cyclical timing of the grasses to determine if the differences we’ve already found are influencing the timing of flowering and fruiting. This could affect food availability or camouflaging abilities for the grassland birds. 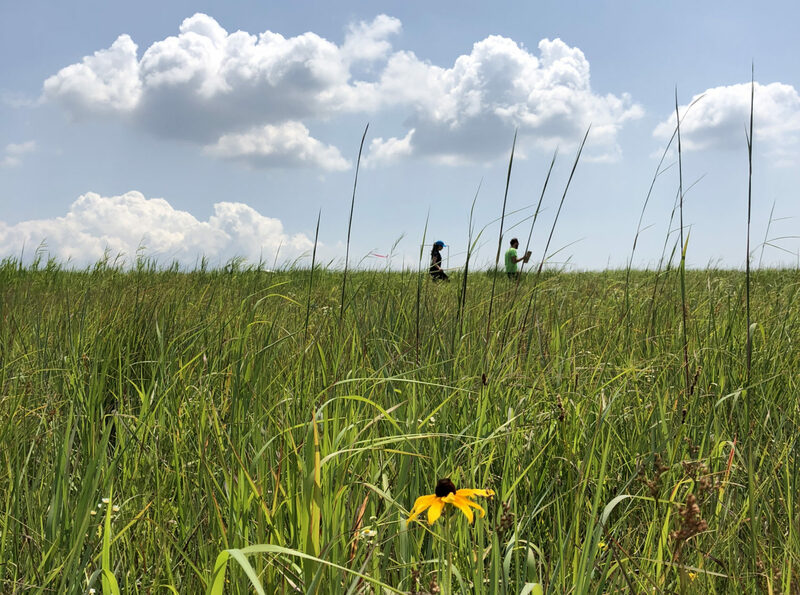 As we continue to study the grasslands at Freshkills Park, the new information will be added to our growing base of knowledge about the site’s habitats. We will use all of this information to inform management strategies and park design.